A breathtaking and unique landmark, Pier 27 is an architectural masterpiece, right on the shoreline at the foot of Yonge Street. 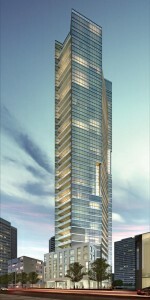 The striking SkyBridge spans from one tower to the other, housing the most prestigious suites. Incredible amenities offer everything you would expect from a world-class residence. Bask in the exquisite health club and spa, enjoy quality time in the games room or private theatre, and much more. 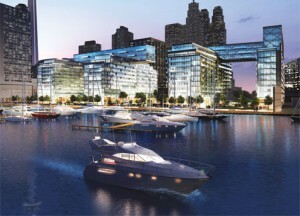 Downtown energy and waterfront adventures await you, just outside your door. Close to the Gardiner Expressway, Pier 27 is the epitome of city living by the lake. 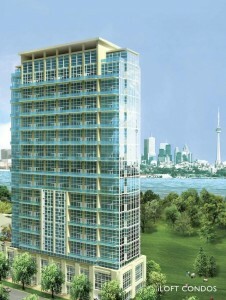 Ion Condos is a new condo project currently in preconstruction at Keele St & Wilson Ave. The project is scheduled for completion in 2015. Yorkville Plaza by Camrost Felcorp Inc. Welcome to the most distinguished address in the heart of Yorkville, the cultural epicentre of Toronto. With its seductive glamour and world-class elegance, the neighbourhood offers the city’s finest ensemble of art, fashion, style and cuisine. Imperial Plaza by Camrost Felcorp Inc. Introducing Imperial Plaza, an unquestionably unique condominium community. Originally built in the mid-1950s as the headquarters of one of Canada’s largest and most successful companies, no expense was spared in ensuring it was a modern-day corporate palace and a masterpiece of mid-century International Style modernism. Only the best materials and the most advanced building technologies were employed in its construction—and in its lobby, one of Canada’s greatest artists was commissioned to create the largest and most ambitious mural ever envisioned in this country at the time. 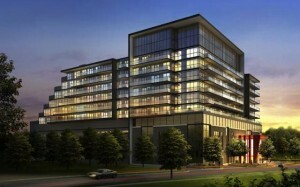 iLoft at Mystic Pointe by Camrost Felcorp Inc.
iLoft will overlook the lake and Toronto Skyline in the established community of Mystic Pointe. Just seconds from the Gardiner Expressway, downtown Toronto is only 10 minutes away, making iloft an ideal choice for commuters. There is plenty of shopping, restaurants and nightlife at your doorstep – as well as fabulous walking and biking trails along the beach. Iloft suite designs are a unique oasis of modern perfection, featuring 17 ft. floor-to-ceiling windows. Choose from 2-storey ilofts or single storey iflats available in 1 and 2 bedroom designs, many with convenient dens. iLoft itself is the perfect blend of finishes – combining aesthetics and function. A magnificent lobby welcomes you to a new style of living. Ultra modern kitchens and stunning bathrooms complete a space that could only be described as spectacular. State of the Art Camrost Centre for the Recreational Arts will provide the ultimate venue for your sports, health and entertaining needs. Chaz.Yorkville. 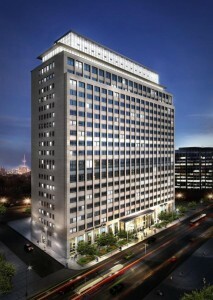 by Edenshaw Developments Ltd.
Toronto’s exceptional Yonge and Bloor neighbourhood will soon become even more exciting, when CHAZ. 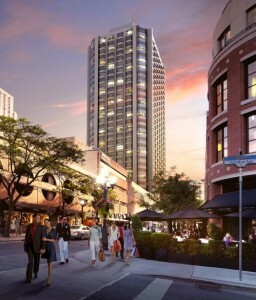 Yorkville hits the scene. Fashion-forward design and magnificent views through massive windows will characterize this new luxury condo coming soon to 45 Charles Street East, near Bloor Street.